Also called a cap sometimes. It is an encasement created to cover an entire tooth or molar so the strength and esthetic beauty of the tooth could be restored. A porcelain crown is also called a cap sometimes. It is an encasement created to cover an entire tooth or molar so the strength and esthetic beauty of the tooth could be restored. It mostly suggested to patients when the fillings, inlays and onlays aren’t the most recommended methods to restore the teeth. You will see various kinds and types of caps/crowns but those made with porcelain are the most commonly known for their similarities to natural teeth. They have a good durability but replacements are needed and the best time can be suggested by your doctor. When covering your tooth with porcelain crown the dentist will make sure that it fits in perfectly and doesn’t appear different from rest of the teeth around it. You will be required to meet your dentist twice to complete the porcelain crown treatment. When you go to the dentist for the first time the size, shape and structure of your tooth or damaged tooth will be carefully examined by the dentist so he can have the right mold created for it. Impressions will be taken during this procedure. You might be given a temporary crown so until your next visit, when the actual crown is fixed, your tooth is covered and protected with this temporary one. Your damaged tooth/teeth will be examined, cleaned and cleansed in order to make sure that the fabricated crown fits perfectly on it/them. 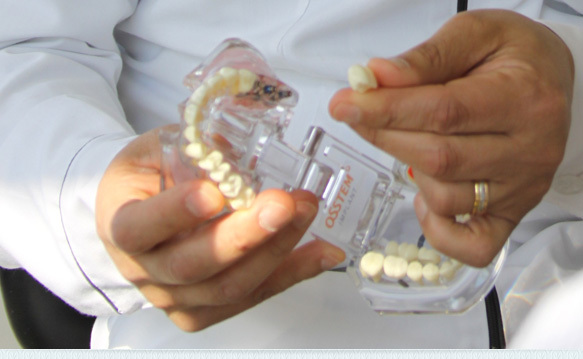 The temporary crown, which was fitted on your tooth on your first appointment, will now be removed by your dentist and the new properly fabricated (custom made) crown will be put on the tooth. The results will be observed so the tooth fits perfectly in other teeth and the bite is not affected. You will be instructed by your dentist to take care of your crown through hygiene and proper care while eating foods and chewing them.